This is a fabulous, well developed story. The characters are all well written and sympathetic - even with their flaws. There were unsettling moments, but the ending wrapped things up nicely (a bit too nicely, I think). This is the first book I've read by this author and I'm excited and can't wait to read more. Almost 5 stars... the ending was a bit too neat for me. 5.0 out of 5 starsI really loved it. This was a modern, intricate and psychological tale of such deep sadness. The ending, of course, was rushed as it seems all authors run out of steam, however the epilogue addresses some issues. It was compelling reading for me, so well done Lisa. Please put more into the endings. An excellent description of a family in denial and how the consequences reverberate through that family. Couldn't stop reading it. 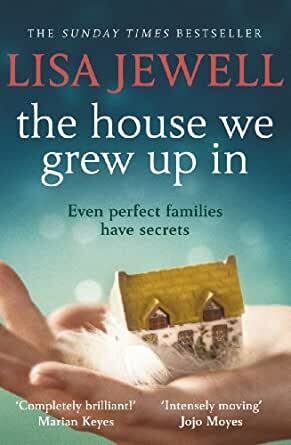 Good read of the complexities of a dysfunctional family with an interesting mother at the helm who uses hoarding to deal with the issues that confront her. 5.0 out of 5 starsBrilliant read! Easter Sunday is a very special time for the Bird family. It is the day of Lorelei Bird’s famous Easter egg hunt for her four children Megan, Beth, Rory and Rhys, a time for family and friends to come together and eat lamb roast in Lorelei’s cosy country kitchen, a family tradition that is kept up year after year even when the children are much too old for Easter egg hunts. Bohemian and vivacious, Lorelei draws people to her like moths to a flame, her effervescent nature and love for all things beautiful strangely appealing to everyone who meets her. Only Megan, the oldest of the Bird children, realises very early in life that there is something unhealthy about her mother’s obsession with family traditions, her inability to part with things, her habit of buying “stuff” and filling the house with boxes of things nobody really has any use for. But no one in the family wants to admit that there is anything wrong with Lorelei’s clutter, and her meek and good-natured husband Colin has long since learned to turn a blind eye to keep the peace. Then one Easter, when Megan has just turned twenty years old, tragedy strikes, and the Bird family will never be the same again. 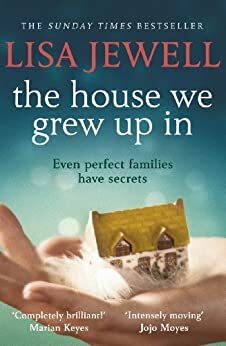 I loved “The House We Grew Up In” and became engrossed in it right from the start, looking forward to every precious moment listening to Karina Fernandez’ wonderful narration of the story. The narrator did an excellent job giving unique voices to each of the characters, each with their own accent, inflection and tone of voice – it brought the story to life for me! The narrative starts with an adult Megan arriving at the family home just before Easter 2011, shortly after her mother’s death, to begin the awful task of clearing out Lorelei’s clutter, which fills the house from top to bottom with barely enough room to get through the front door. Through snapshots of memories of Easters past, the reader gets a sense of the family in happier days, when the children were young and Lorelei’s eccentric nature drew people in from all around them to bask in the warmth of her kitchen. The memories are told through the eyes of each of the children, husband Colin, and family friend Vicky, each looking at Lorelei’s eccentricities and the circumstances which end up tearing the family apart. Lorelei’s own feelings are slowly unveiled through emails to an online friend found on her computer after her death, giving an understanding of the extent of her mental illness. I listened with fascination and a growing sense of horror as tragedy strikes in the Bird household, and the slow but inevitable implosion of a picture-book family in the wake of it. The effects of Lorelie’s mental illness on her children and loved ones was tragic to see, as was the sense of guilt each one of them took on as their due, creating a sense of isolation and leading to their complete estrangement. Told with insight, empathy and a deep sense of understanding of the effects of tragedy, guilt and mental illness on a family, “The House We Grew Up In” is a deeply moving tale of family dynamics, parenthood and redemption. I loved this book and it is one of my favourite reads of 2015 so far – very highly recommended.